Short-barreled rifle is one type of firearm regulated under the National Firearms Act (NFA). Accordingly, to obtain a Short-barreled rifle a person must first file and receive an approved ATF Form 1 Application to Make and Register a Firearm (to make an SBR) or ATF Form 4 Application for Tax Paid Transfer and Registration of Firearm (to transfer an SBR to/from another person). Many existing and prospective customers have approached Zenith with interest in purchasing a “factory SBR”—one that Zenith has manufactured at its facility in Afton, Virginia from an imported pistol of MKE origin. 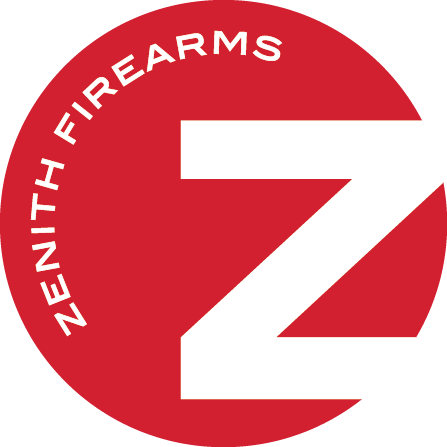 As an FFL 10 holder and a Class 2 Special Occupational Taxpayer, Zenith Firearms is licensed to manufacture and service all NFA items, including Short-barreled rifles. Accordingly, effective Jan. 1, 2018, Zenith does sell factory SBRs to federally licensed SOT distributors and dealers, as well as retail customers by way of transfer to their SOT dealer for completion of the registration process. Contact the Zenith Firearms Custom Shop by phone at 434-202-7790 x201 or email to discuss your interest in placing an order for a factory SBR and receive a price quotation. A Zenith sales person will talk with you through various model, handguard, stock, and other options to ensure you order and receive exactly what you want. Pricing for Zenith factory SBRs is competitive and in line with the pricing for Zenith’s other products, although all quoted prices should be understood as exclusive of registration- and tax stamp-related fees, for which the customer is directly responsible. Zenith Firearms dealers and distributors will need to ensure Zenith has on file a copy of their current FFL and SOT that together permit them to deal in NFA firearms. Upon receipt of an order for one or more Zenith factory SBRs, Zenith Firearms will complete and submit an ATF Form 3 Application for Tax-Exempt Transfer of Firearm and Registration to Special Occupational Taxpayer. Following approval of the ATF Form 3, Zenith will immediately physically transfer the ordered firearms. Payment terms will be based on the date of physical transfer/shipment, as with Zenith’s non-NFA products. Upon receipt of an individual’s order and payment for one or more Zenith factory SBRs, and following verification of the designated FFL dealer’s FFL and SOT statuses, Zenith will complete and submit an ATF Form 3 Application for Tax-Exempt Transfer of Firearm and Registration to Special Occupational Taxpayer. Following approval of the ATF Form 3, Zenith will immediately physically transfer the ordered firearm(s) to the FFL dealer, which will assume responsibility for the firearm(s) as well as for assisting the individual through the BATFE registration process and properly transferring the firearm(s) to the individual upon the completion of registration.